After the team’s first win since re-branding, every aspect of the team was firing on all cylinders, both defensively and offensively. 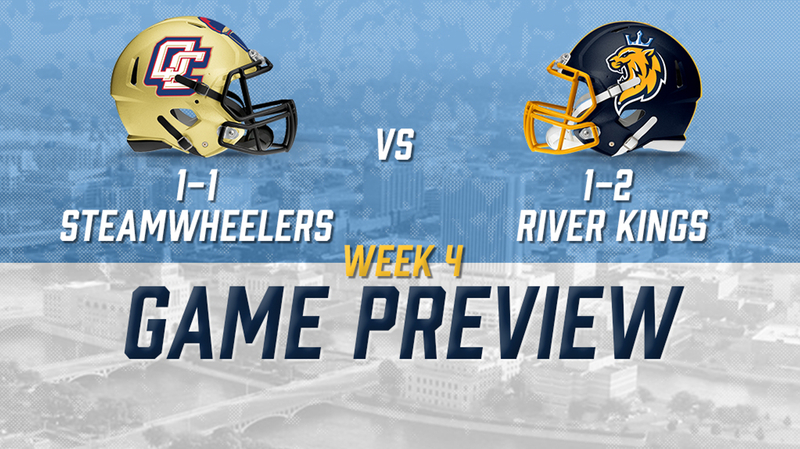 The River Kings hope to keep things going as they take on the Steamwheelers of the Quad Cities. In the air, quarterback Kurt Palandech was able to put on an incredible performance for the home fans with his five touchdowns. His main two targets were Marquel Wade and Jordan Smith. With three games in the books for Palandech, his position as starting quarterback looks to be completely confirmed. Palandech, as per usual so far this season, was also able to keep the defense on their toes by gaining 60 yards on six rushes. Wade caught six passes for 51 yards and two touchdowns, and Smith was able to have a very similar game, catching five passes for 50 yards and two touchdowns. On the ground, running back Nate Chavious racked up 75 yards on 12 rushes, which resulted in three endzone visits. Chavious has been a frequent flyer into the endzone this year making him a key of focus for any opposing team. Defensively, the River Kings’ main contributor was defensive back Tavion Garrison. He was able to be a defensive force with nine total tackles. Ricky Johnson also made his presence known with all five of his tackles being solo tackles. On the other side, the Steamwheelers played the Iowa Barnstormers, where they ended up receiving a loss in their matchup, 53-39. This game will be a matchup of arms, as quarterback E.J. Hilliard had an impressive game going 18-29 with 255 yards and 4 touchdowns. While their air attack was stellar, their ground game was lackluster. Running Back Carlos Wiggins rushed six times for 42 yards and no end zone trips. However, Wiggins was able to spread the ball well to receivers Keyvan Rudd, Quinton Pedroza, and Isiah Neely. 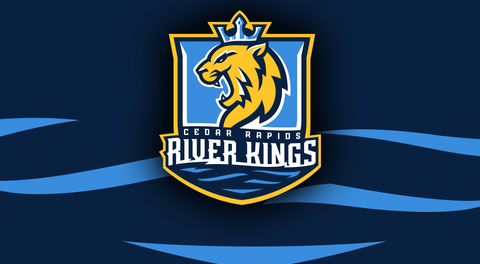 Rudd will be someone that the River Kings defense will need to key in on as he was the main contributor to the offensive successes that the Quad Cities were able to string together. He was able to haul in six passes for 132 yards and two touchdowns. Defensively, for the Steamwheelers, their main man was defensive back Danzel McDaniel. He was able to tally up a whopping 13 tackles, with four of them being solo. The game between the River Kings and Steamwheelers will be on Friday, March 15 at 7:05 pm CST at the US Cellular Center in Cedar Rapids. Tickets can be found on the River Kings Website, and the game will be livestreamed on the IFL’s YouTube page, which you can find by clicking here.